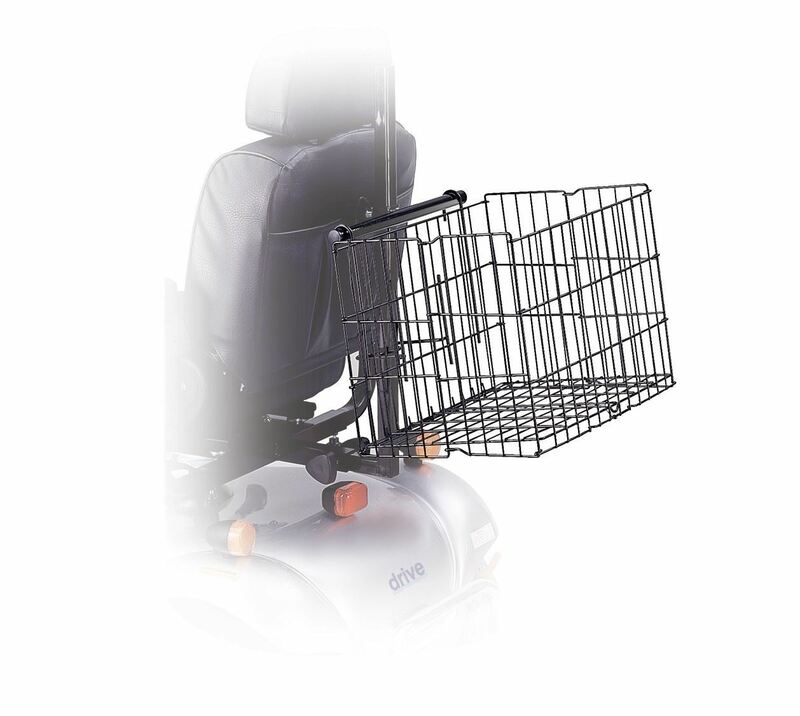 Rear Basket for Scooters,Spacious Rear baskets as an added accessory for scooters! Spacious Rear baskets as an added accessory for scooters! The rear baskets are spacious with strong steel construction that makes it a great option for carrying heavy or large items that cannot be carried in the front basket. A great choice for quick trips to the store. Not suitable to be used with powered wheelchairs. Mobility scooter stores near me .